More than 54,000 people descended on the five boroughs of NYC last Sunday to do just that. 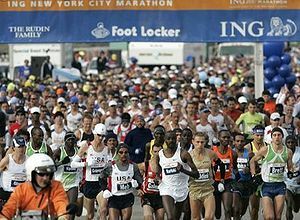 The NYC marathon is an iconic event that brings runners from all over the world. It also has a profound effect on those of us who stay at home on our coaches and watch the marathon coverage on tv. All of us coach potatoes start thinking… “Hey maybe I can be a run a marathon too.” I mean if 54,000 people can do it why can’t I? If you are seriously contemplating getting off the coach and running I wouldn’t suggest shooting for 26.2 today. Baby steps start with a walk and slowly work your way up to a run. I highly suggest the coach potato to 5K app. It is such an easy way to go from nothing to a 5K. I am serious you don’t have to be a runner or even an athlete and you will be running 3.1 miles in 9 weeks. 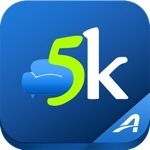 Over the summer some friends and I decided to train for a 5k using the app. My one friend had never run a day in her life and my other friend and I were both coming off injuries and hadn’t run in quite a bit, so we were all in need of some training. The app training program is great. The time commitment isn’t even that overwhelming three times a week for 30 minutes, that’s it! The program alternates walking and running for the first few weeks. By the sixth week the walking is dropped and you have to run for a solid 20 minutes but you will be completely ready for it. From week six you build up to 30 minutes by week 9. The first week was certainly the best with mostly walking and only a minute or so of running. I won’t lie, the beginning weeks were a little trying. Sometimes we thought we were going to die running for just three minutes. But I can’t explain it, it’s like magic. At the end of three weeks we were running 3 miles! Here we are at my friend’s first 5K. And my friend who had never run… completely obsessed we have already run another 5K since then and I think she may have her on the half marathon in May! 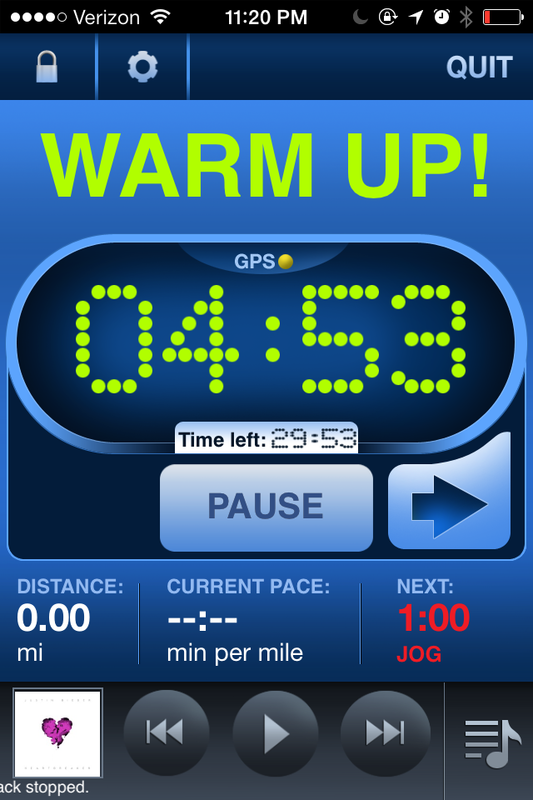 This entry was posted in Exercise, Health, Life, Reviews and tagged 5K, apps, coach potato-5K, marathon, New York City Marathon, review, running, running app, running program. Bookmark the permalink. So when are we running this week?